Happy Valentine’s Day love bugs! 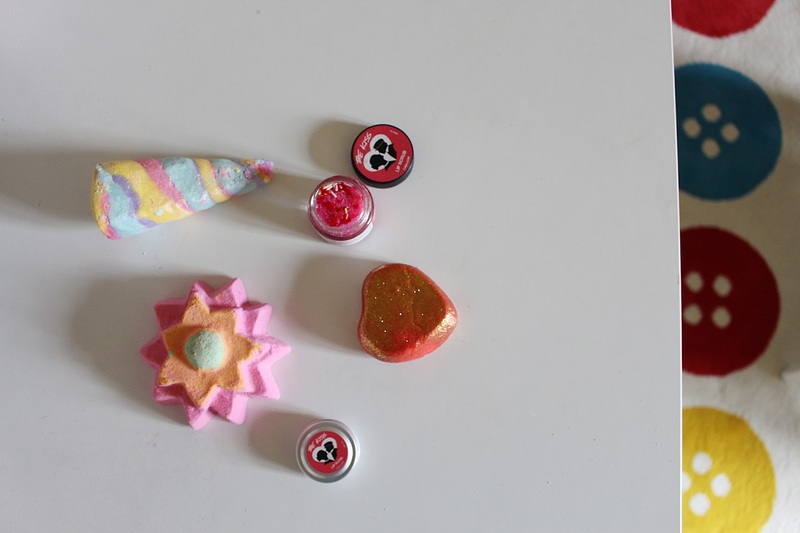 In the spirit of all things romantic and Valentine’s-related, I thought I would pop a post up on the beautiful Lush Valentine’s collection. Quite possibly my favourite collection from Lush every year (bar Snow Fairy), the Lush Valentine’s collection is a mix of love hearts and pastel-hued candy scents, which are by far my favourite kind of scents! I was lucky enough to be sent a few bits and pieces from the range and couldn’t resist sharing them with you on the most romantic day of the year! 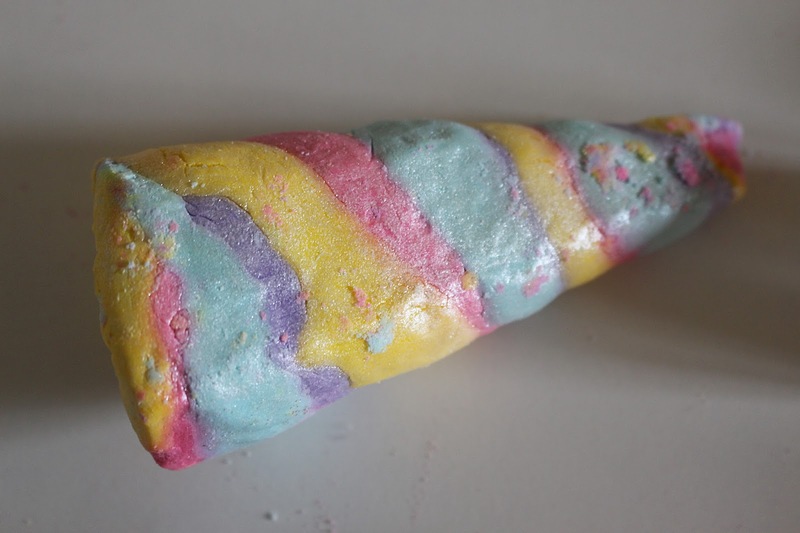 First up, the product I was ridiculously excited about from this year’s collection was the Unicorn Horn bubble bar. As an avid pastel and unicorn fan, this bubble bar is the perfect combination and smells amazing. It’s so pretty I’m a bit hesitant to actually use it, but when I do I’m sure my bath will become a bubbly rainbow paradise! 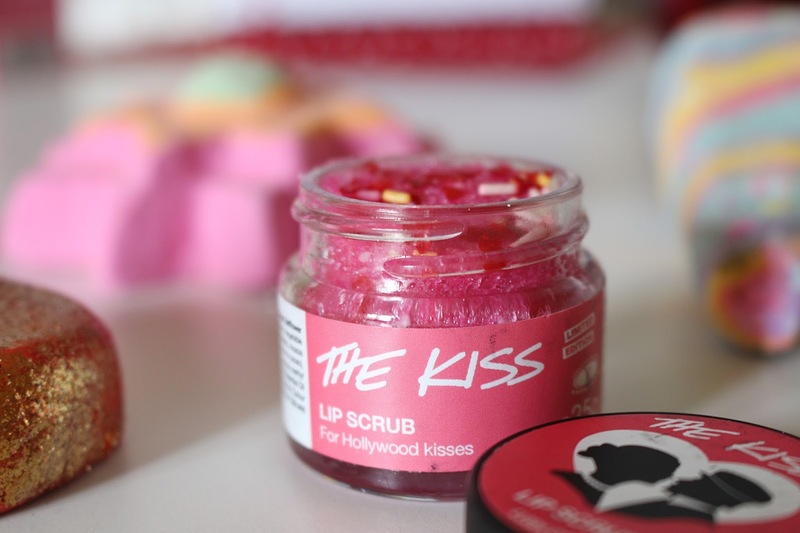 The Kiss products that Lush release for Valentine’s have always been a favourite with me – I’m a big fan of the lip gloss but this year was the first year I got to try the lip scrub for myself too! It’s a sugary mix that is totally Valentine’s-ified with the added touch of little sugar hearts and even sprinkles, and works amazingly well at creating super kissable lips. Yes, Lush’s lip scrubs might be a bit of a gimmick (we all know they’re pretty easy to make yourself) but this one totally oozes the cuteness factor thanks to the little touches. It doesn’t smell quite as tempting as the Bubblegum scrub (a personal favourite of mine) but I can forgive that for the added extras. 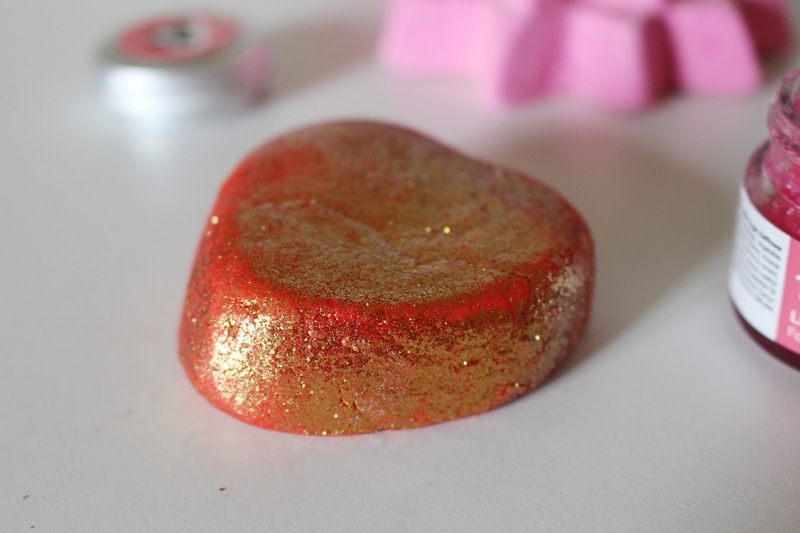 Obviously, Lush wouldn’t be Lush without adding an uber sparkly heart to the affair – and the Lonely Heart bubble bar is a gorgeous mix of red and gold sparkle. It smells amazing – lemongrass, bergamot, jasmine and ylang ylang make up the scent for this little baby which makes it a total pleasure to bathe in. I’m not too sure on the whole red bath water thing but it’s certainly very fitting for Valentine’s Day! Finally, the last Lush Valentine’s Day product I’d like to mention is the Floating Flower bath bomb, which I am SO excited to use. 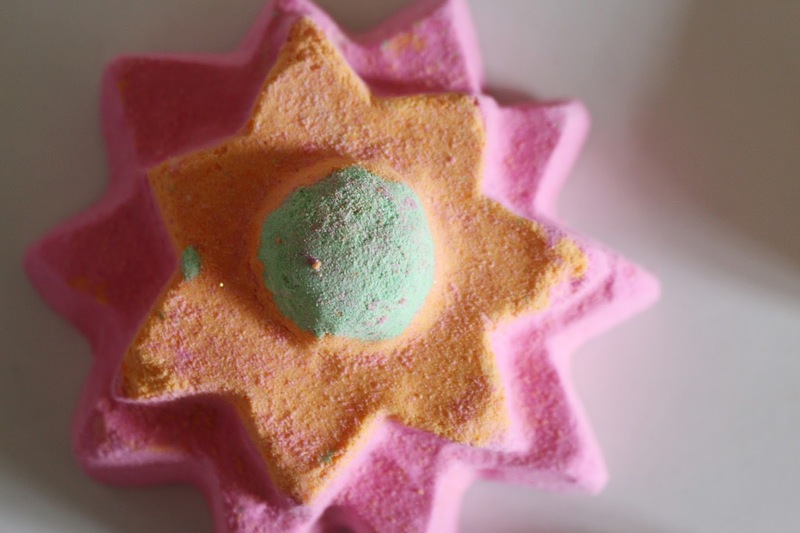 I’ve had a peek on the Lush website and this looks to leave your bath an amazing rainbow mix of colours, whilst smelling gorgeous and being packed with essential oils. Overall I am head-over-heels in love with the Lush Valentine’s collection and definitely think it’s worth going and treating yourself to a few bits before they sell out! Have you tried any bits from the collection?